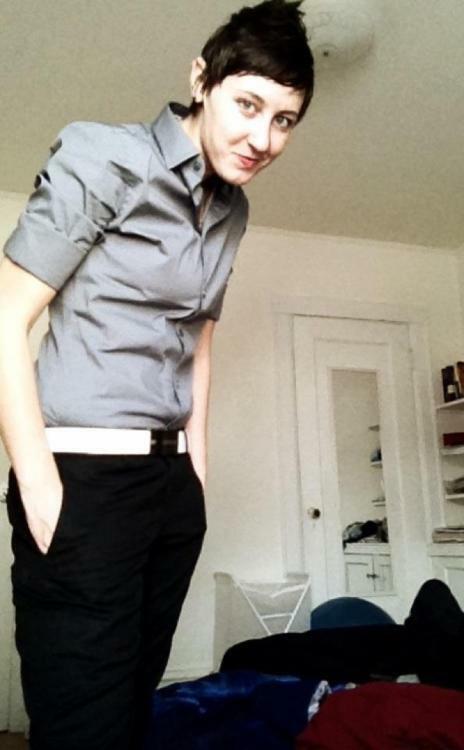 My Oberlin Conservatory violist lesbro Lauren is kicking it with some men’s Express fits of wonder. 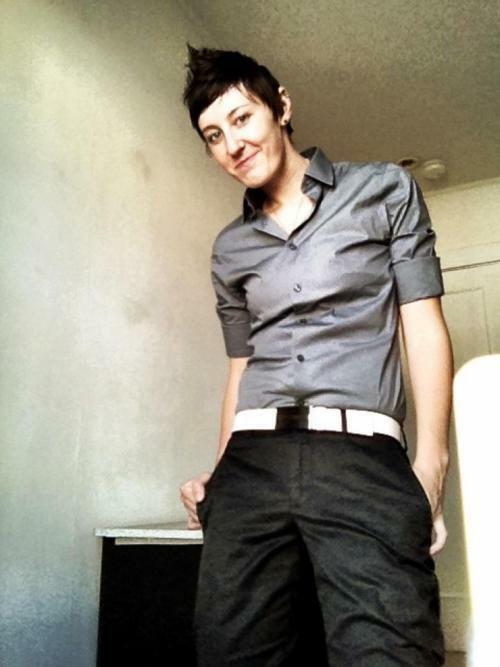 I’m impressed cause men’s Express clothes were too big on me when I tried them on, but I think rolling up the sleeves and tucking it in helps. She says, “I like clean lines, European styles, and like to make bold statements with both my clothes and my personality.” BAM.